Home › Australian › My Health Record:- A Move Toward an Orwellian Society or Mark of the Beast…or Not? It’s January 27th 2910 and on the 31st the second deadline passes for Australians to ‘opt out’ of the My Health Record…..The deadline was extended from the end of November 2018 as the opt out website crashed due to the number of people opting out. For those who don’t know what the My Health Record is, the Australian Government is going to get your medical records from every GP you have ever visited in your life and assembly all those records under your name in one (apparently) very secure spot in the cloud:- that the Government assures us….is an unhackable space in the cloud and everything will be ‘very secure’. I opted out in October. 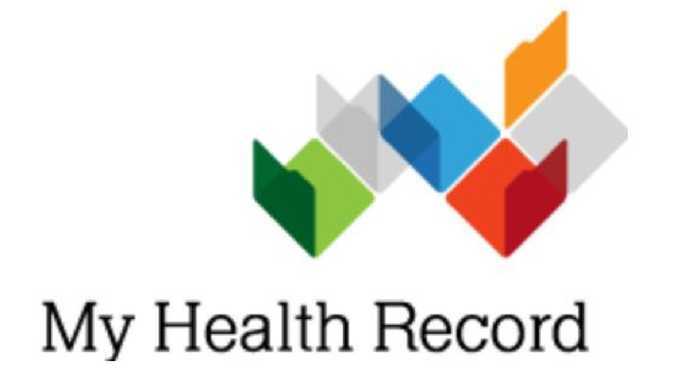 There has not be one compelling reason given by the Government on its My Health Website nor in any of the advertising as to why we should allow or even want the nation’s collective heath records to be stored all in one place. Surely there must be a really really good reason that benefits Australians to allow big brother to collect, into one place, all their medical records….Surely a really good reason right? What is it? All I hear is cricket…..Because…well there isn’t one. The ads on the radio tell you that in the case of an emergency, a doctor can access all your medical information on the spot…..So is this apparent lack of accessibility causing widespread deaths across Australia….? Is the giving up of our privacy, going to stem the pandemic of ‘lack of personal medical information caused’ deaths in our nation….phooey. Its phooey because this is not a genuine issue. So surely there is another compelling reason right? I can’t find one. I searched around today online looking for one. So, what’s the issue? Why would a Government want to collect all our medical data? So it can analysed and then onsell the information to Medial Insurance Companies and Pharmaceutical companies? Surely financial gain has to be the one major motivator here. You don’t think (at some point in the not too distance future) if the My Health Records show a high incidence of hearth disease on the Gold Coast and I ring a Life Insurance company, that they won’t know that there is high risk of Hearth Disease on the Gold Coast and so therefore charge me extra for the insurance? You don’t think the Pharmaceutical companies are rubbing their hands together, foaming at the mouth and wallet at the idea of getting the combined Health Data of Australians? Let’s just remind ourselves of Facebook selling users information to Cambridge Analytica in the US. Let’s remind ourselves of Clive Palmer and other Politicians buying our phone records and sending unsolicited political text messages to us. I could go on….Privacy is a concept from previous generations. These days our personal data is constantly being mined by our credit card usage, our smart phones, our loyalty programs like Frequent Flyers and Fly Buys, our Road Toll Tags and now we even put bugs into our homes and give them pretty names like Alexa and ask them to listen into every conversation that goes on in our homes. Now let’s talk about the apparent security of your medical records. According to the My Health Record website, I will be able to access my health records from ‘anywhere at anytime’. Well I have had my credit card details stolen multiple times and used fraudulently, According the NordVPN advertising, 6.1 million Australians have their personal details hacked every year. The Australian Government couldn’t even build a website that was able to handle a certain amount of web traffic without it collapsing into a black hole of data death….How confident are we that the Government can build a security system around our health records that the Chinese or Russians can’t infiltrate, hack and either release the information online or sell the information to the highest bidder? Now I don’t have really anything to hide in my Health Record. I got Bronchitis a lot as a kid and I have had spinal surgery. But that’s not the point. The point is privacy is dead, Big Brother is watching and me opting out of the My Health record is my little push back as we rush headlong into an Orwellian society where we are all tagged with a number (or barcode) and people talk about things like the Mark of the Beast and cashless societies and microchips in their hands. Now relax, I am not saying My health Record is the Mark of the Beast. I am just saying that at some point we need to push back on Big Brother wanting to know and intrude into every aspect of our lives. Anyway that’s just what I think…..
Oh bonus thought….there are spelling mistakes on the official My Health Record Website…..That doesn’t leave me with any level of confidence. Hey PM Morrison…start by paying a proof reader, then let’s talk of my health records. Hey Alexa….I need a coke. ‹ The Power of Generosity – And 23 Practical Suggestions to Be More Generous This Year. Tags: Morning News Wrap, Week in review. Weekly Morning News Wrap. Thanks for posting this. I wAs thinking it was a good idea since we are an Airforce family, always moving and having to change doctors. My medical history is massive…. however I see your point. Now how do we opt out? And when they can forcibly inject you with chemicals, who knows what can be put into them in future- especially when most are made in China anyway. In the USA, health records are being used to persecute doctors who give religious exemptions, and these are being revoked in more & more places. Medication by force is becoming more common as pharmaceutical companies buy influence over governments and media.